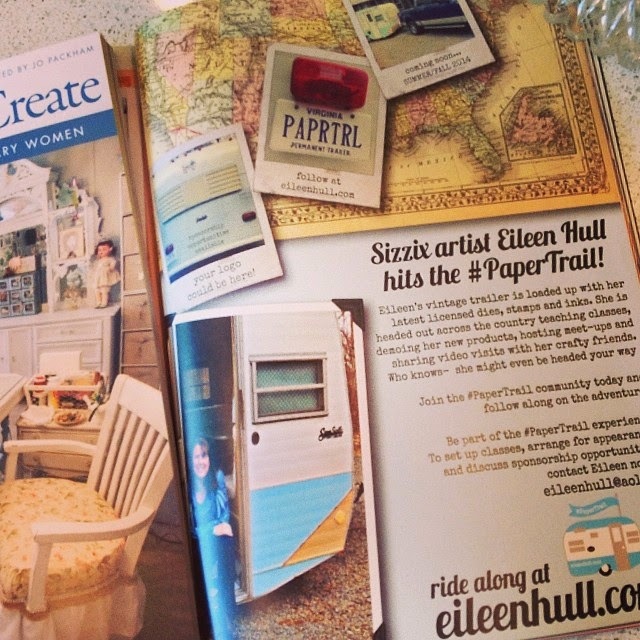 CardMonkey is pleased to be the first stop on Sizzix Designer Eileen Hull's PaperTrail. What's it all about? 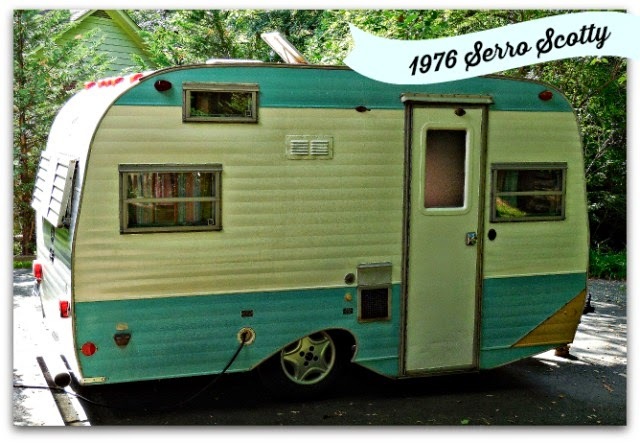 Pulling a vintage (1976 -- I guess that makes me "vintage" too, because I was in college then) Serro Scotty trailer stuffed with crafty goodness, Eileen is traveling to 20 stops (so far) in the month of June, demo'ing and teaching craft techniques. Our plans for today start with a visit to introduce Eileen to Kathy Davis (www.kathydavis.com) and have her tour the inspiring Kathy Davis Studios (KDS) in Horsham, PA.
Kathy has been an inspiration to me long before I first met her last summer. 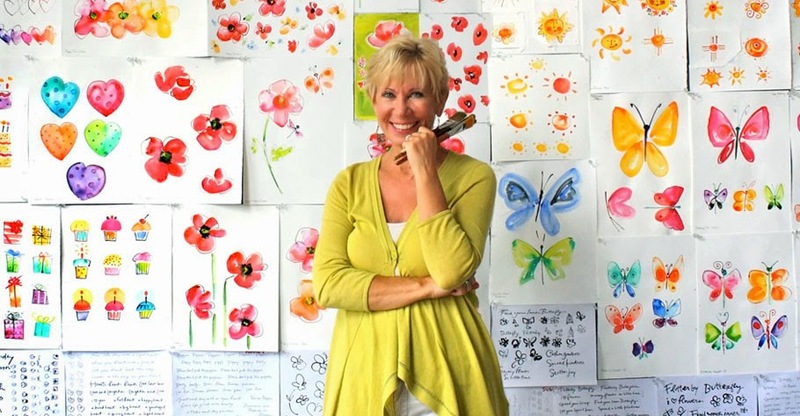 Her poignant messages on her greeting cards along with vibrant and heartwarming art fill my spirit. The funny thing is, until last year, I never realized that Kathy and her team at KDS are practically in my backyard. How it happened is serendipity: I signed up to be a paper-crafting instructor at the new JoAnn Store in Warrington, where JA Corporate decided what crafts those local to me wanted to learn. Frankly, it wasn't working, and I blogged about wanting to work with KDS papers, which were then carried exclusively at JA. Kathy found me through Facebook, and had her friend and VP Bill Lessa hunt me down -- to tell me that I certainly could teach papercrafting at KDS, and so our journey and friendship began. I'm happy to share that with Eileen, who I also met rather serendipitously through Facebook! And now, Eileen is on her way here! 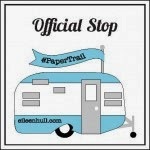 After touring KDS, the plan is for Eileen to stop back at the Paper Jungle for a brief "real world" tour of what a crafting room really looks like (LOL!). Then we'll hop in Millie, my intrepid 2013 Honda Accord, for a trip -- maybe to Rice's Market, maybe to Eileen's old stomping grounds of Easton, PA (and my first-ever visit to Hobby Lobby). Then back to the Jungle to freshen up for this evening's Technique Tuesday class. YES, Eileen will be teaching some techniques in embossing and die cuting -- a class I sorely need! There are 15-20 crafters joining us at Frank's Pizza in Warminster (because everything goes better with food!) from 6-8 p.m. We'll not only be taught by a master (that's Eileen!) 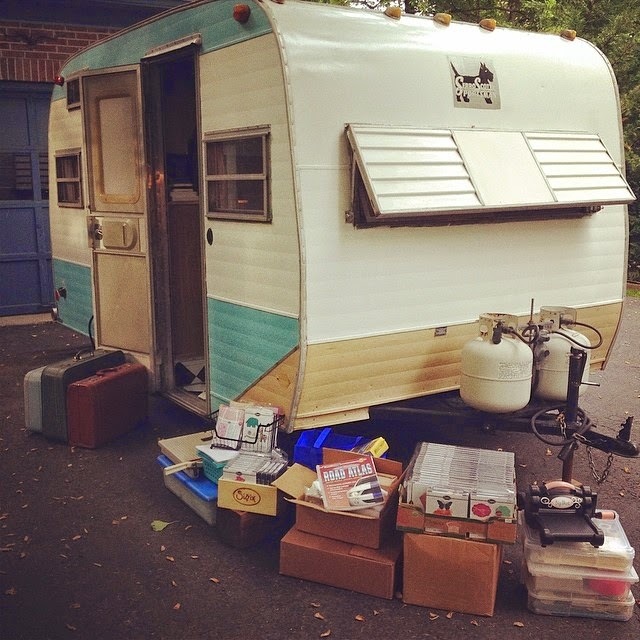 but we'll also have a chance to tour her vintage trailer -- I assume one-by-one, LOL. So stop back tomorrow for more on the techniques we're learning. And thank you, Eileen, for making this fun event happen here in the Paper Jungle! Such a fun time Monk- you are a super host. 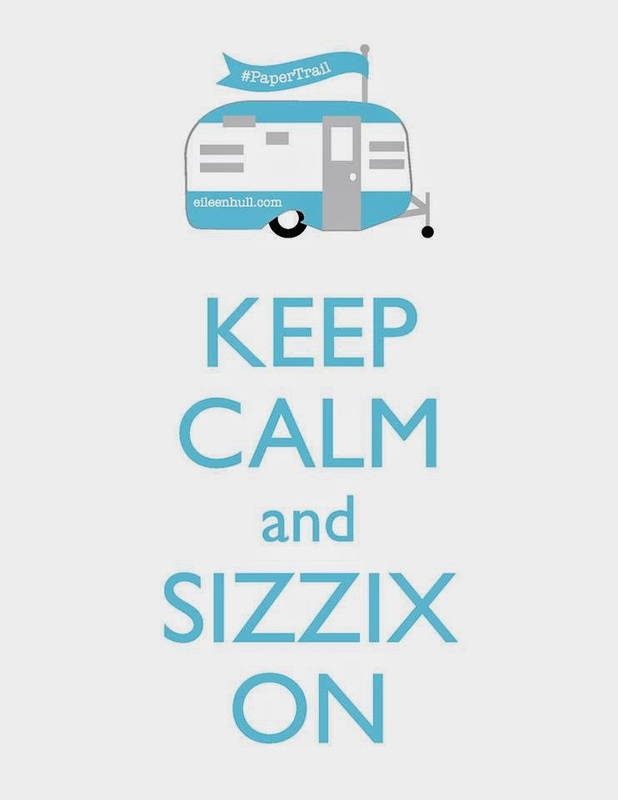 We must adventure some more in Scotty... Many many thanks for a super day!